Looking for your tiki fix but can’t make it to Three Dots and a Dash? Not to worry! 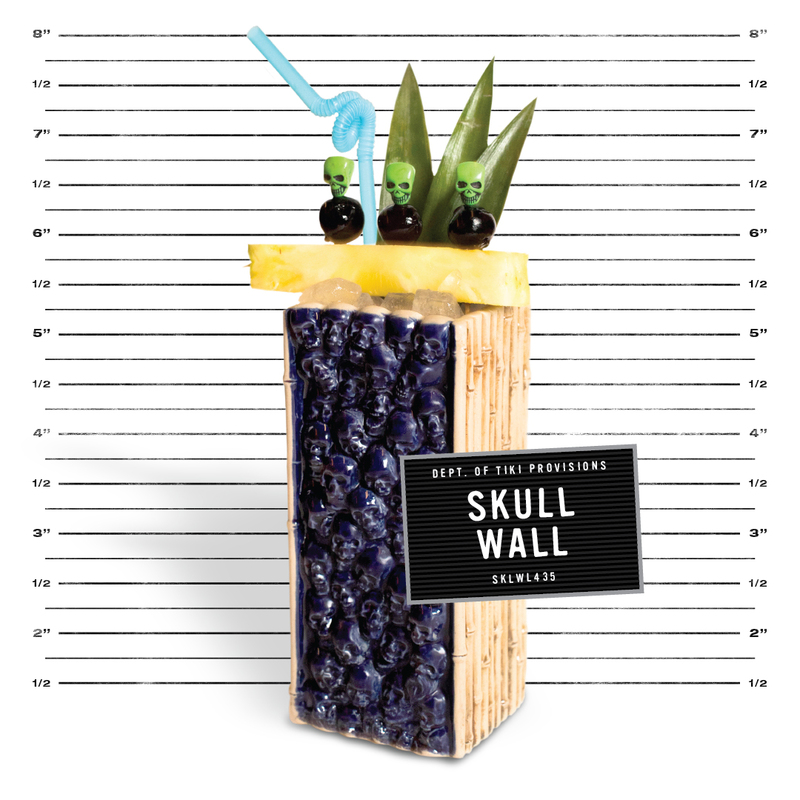 The online mug shop is now selling new limited edition, small-production custom tiki glassware that’s available to ship nationwide right to your front door. 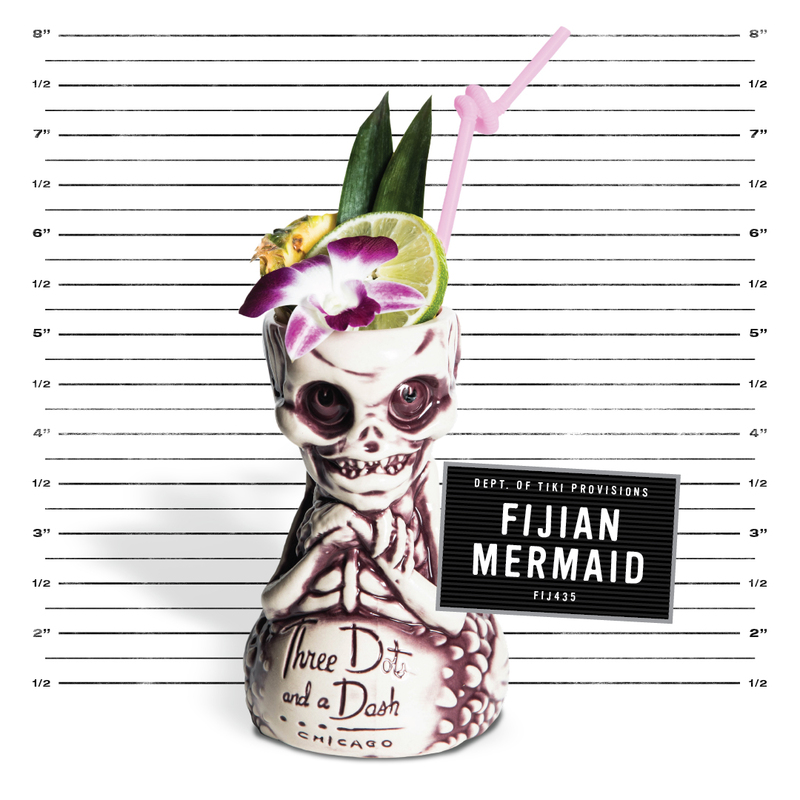 There are three brand new mugs available – the updated iconic Skull Wall, the latest pink-hued Sea Urchin, and the Fijian Mermaid, which gets a purple gloss makeover –with more mugs to be released along the way. These three are first releases in the Signature Series stamped with the official Three Dots and a Dash logo and crafted by Tiki Farm, the leading purveyors of Polynesian pop culture. Other styles of mugs are still available for purchase in person at Three Dots and a Dash (make a reservation here! ), but these Signature Series mugs are available for a limited time online only. Once they’re out, they will be added to the Tiki Archives along with their ancestors. 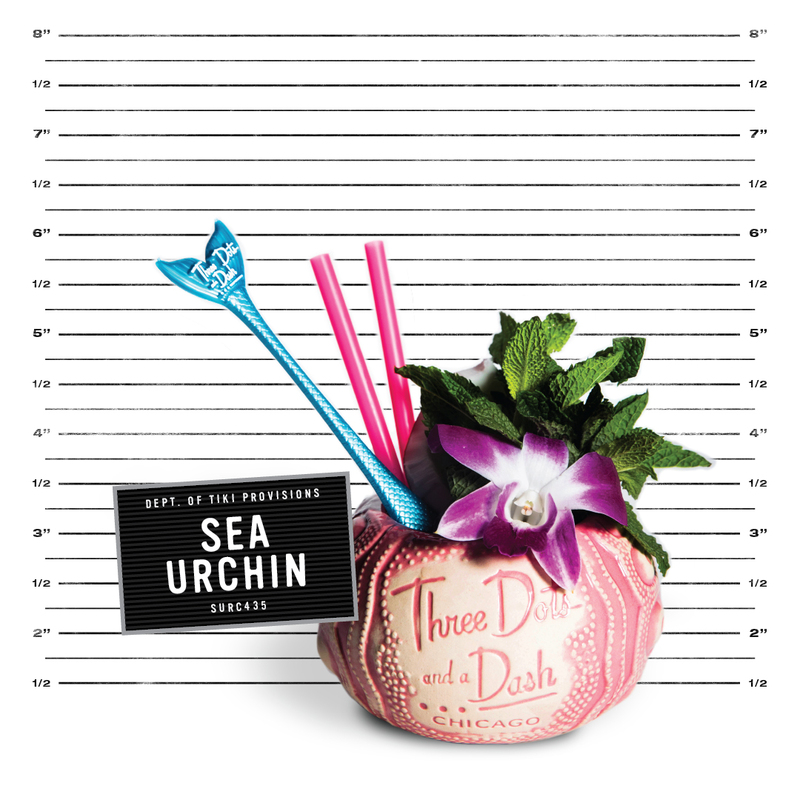 Stay up to date on when the next wave of mugs will be released by signing up for Three Dots and a Dash’s Tropical News and by following along on social media at @threedotsandadash.